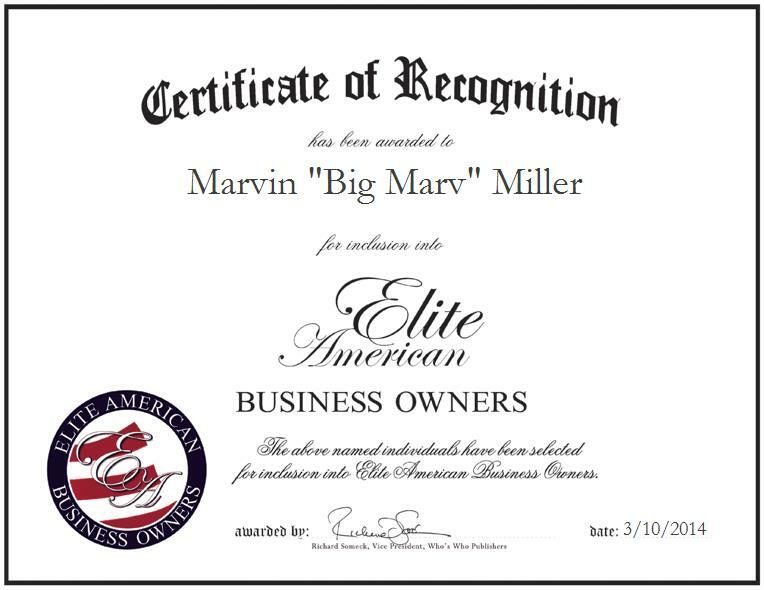 LOS ANGELES, CA, March 10, 2014, Marvin “Big Marv” Miller, Founder and Chief Executive Officer of Freestyle Records Inc., has been recognized by Elite American Business Owners for dedication, achievements and leadership in the music industry.Hailing from a very musical family, Mr. Miller inherited his father’s gifts and love for music and was inspired to pursue a career in the industry. He started playing instruments and performing at the age of 7 and took notice of some of the world’s greatest performers, including The Jackson Five and James Brown. As he matured, Mr. Miller’s love and appreciation for music continued to grow. He took up playing the keyboard, guitar and drums, as well as the saxophone, and in 1973, he and his brothers formed “The Miller Brothers Band.” Mr. Miller excelled at performing, but his natural understanding of the music industry’s past, present, and future influenced him to start Freestyle Records Inc. The digital record label released its first artist West Coast Wyn’s debut single, “Turnt Up,” in 2013 to commercial and college radio, as well as Internet and digital radios all around the world. The single has more than 247,000 ‘fans’ and listeners on Jango Radio alone.Mr. Miller’s artist development and music production skills have enabled him to promote his artists and their music around the world. He takes great care in overseeing artists’ repertoires, marketing and promoting records, creating music videos and networking through social media. Mr. Miller attributes success to sweat equity, being a visionary and staying up-to-date in the music industry. He believes he developed the company at the right time. Looking toward the future, he aims to build his record label into a multinational conglomerate and a forefront of digital labels in hip-hop music.